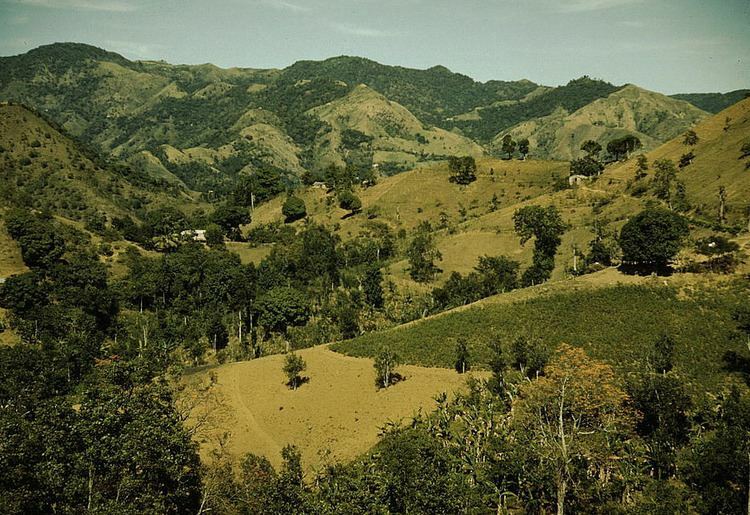 Aibonito ([aiβoˈnito]) is a small mountain municipality in Puerto Rico (U.S.) located in the Mountain range of Cayey, north of Salinas; south of Barranquitas and Comerio; east of Coamo; and west of Cidra, and Cayey. Aibonito is spread over 8 wards and Aibonito Pueblo (The downtown area and the administrative center of the city). It is part of the San Juan-Caguas-Guaynabo Metropolitan Statistical Area. 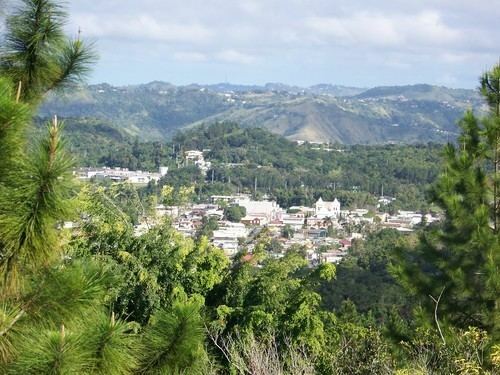 Aibonito is located on a relative high elevation (its main plaza is the highest in the island at 2,401 ft [731 m] above sea level), which makes its climate cooler than most of Puerto Rico's towns. 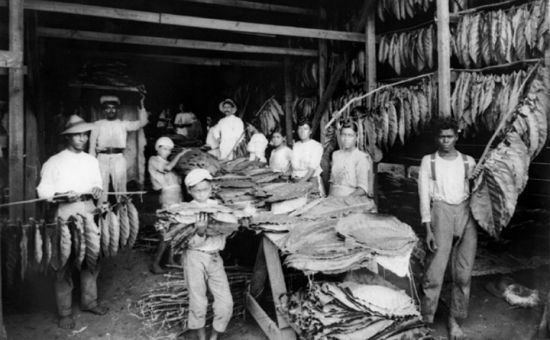 On the Spanish–American War of 1898, around 800 Spanish and Puerto Rican soldiers were able to defeat the invading American troops due to their strategic placement in the Asomante mountain. This scrimmage came to an end when the Spanish government surrendered on August 12, 1898. 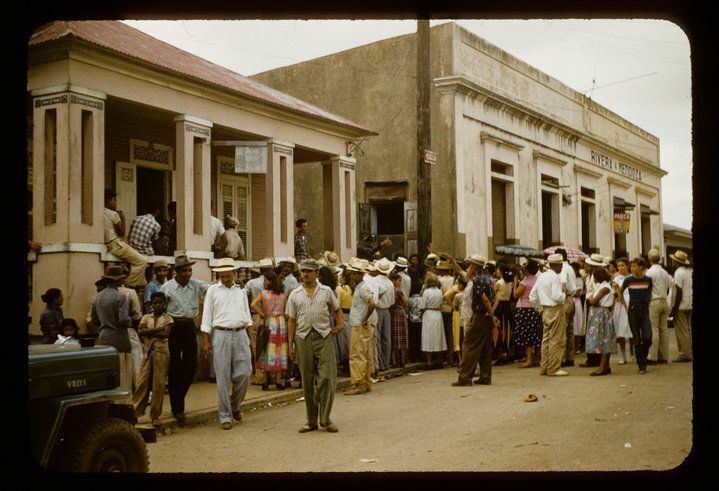 It is interesting to note that the Spanish and Puerto Rican forces at Asomante never surrendered and would have held their position indefinitely if not for the buckling of the Spanish government in Madrid. 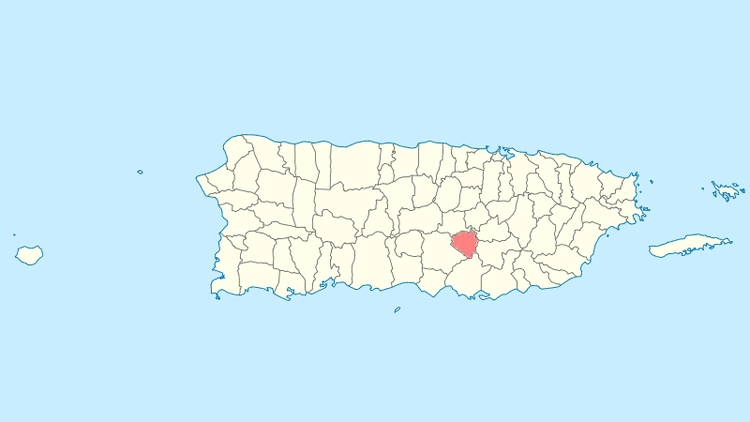 Aibonito holds the record for the lowest temperature in Puerto Rico. That is 40 °F (4 °C) on March 9, 1911. The highest temperature record is 98 °F (37 °C) recorded on September 29, 1920. Aibonito is among Puerto Rico's coolest towns. Aibonito had a BSN basketball franchise called the Polluelos de Aibonito. In 1986 they beat the defending champions, Atleticos de San German, in seven games to win their only championship. In 1987, the Polluelos reached the finals once again, but that time, they lost in seven games to the Titanes de Morovis. Recently, the Polluelos have not been able to see action on the BSN's tournaments because of economic and team ownership problems. Also Aibonito had a Double AA baseball. The franchise is also Polluelos de Aibonito. In 1966 they won the only baseball championship. All municipalities in Puerto Rico are administered by a mayor, elected every four years. On November 4, 2008, William Alicea Pérez (of the New Progressive Party), won the elections, beating former mayor Hon. Jose Alberto Diaz (PPD) by 3,658 votes.